The home is priced to sell. 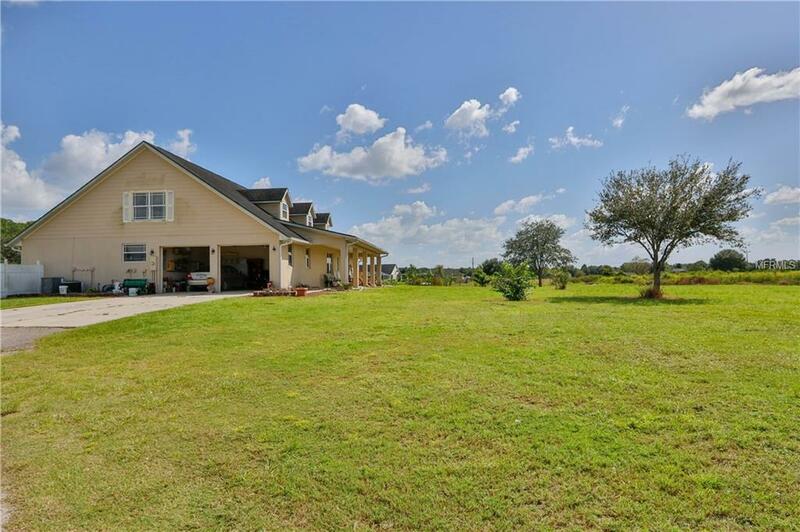 A great opportunity to own a custom built home on a 5 acre lot. 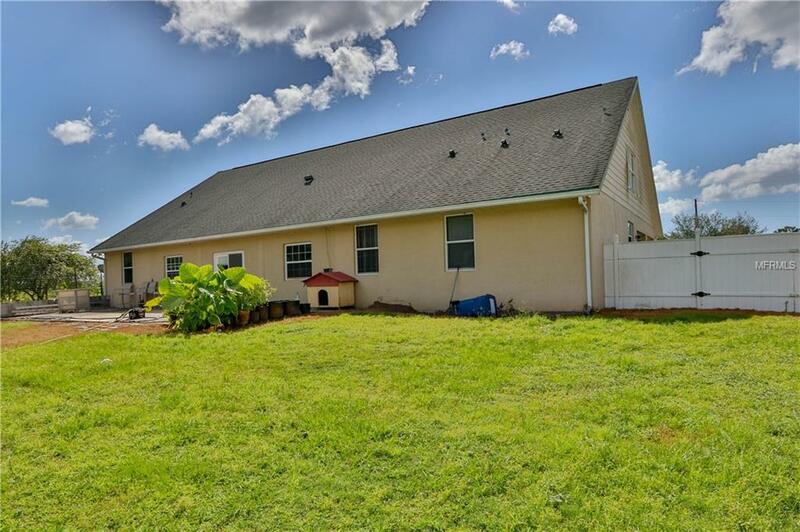 The property features mature tropical fruit trees and a pond. 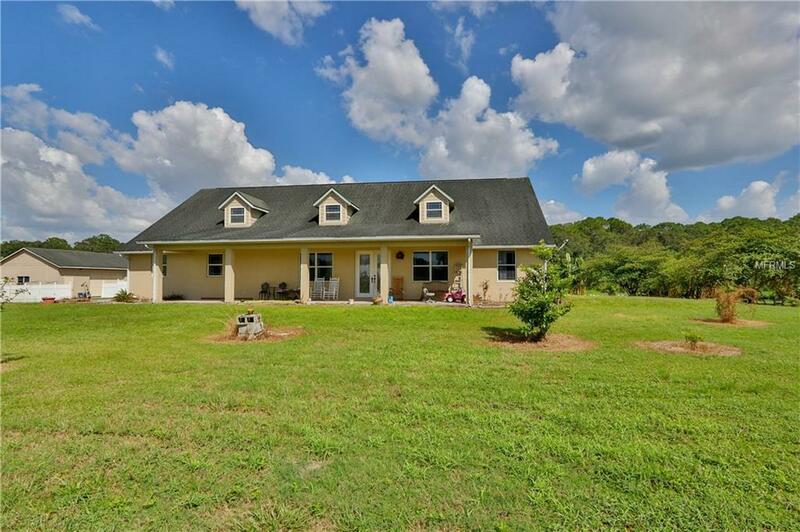 The property is set back from US Hwy 301 for privacy and peacefulness. There is also a large barn/garage, approximately 1,200 sq ft, which is perfect for a workshop or additional storage. The barn is constructed with concrete blocks and finished concrete floor with utilities. 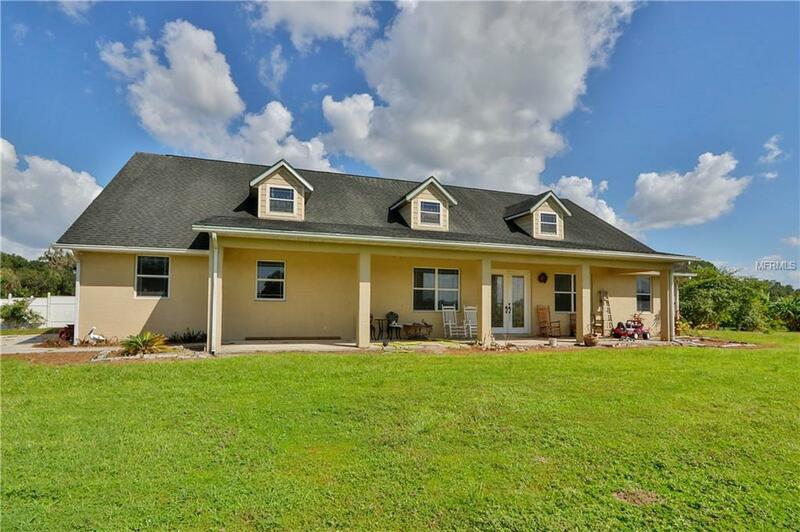 The home features and open floor plan with 3 bedrooms, 2 bathrooms on the main level and an additional 2 bedrooms and 1 bath on the second level, formal living room, formal dining room, and an extra large bonus room on the second level. The gourmet kitchen has granite counter tops, stainless steel appliances, 42 cherry cabinets with edged glass, and a walk-in pantry. The floor is covered with hardwood and tiles for easy maintenance. Must come see this unique property to believe what a great deal the new owner is getting for the price. Listing provided courtesy of Sky Five Properties.